Toyota City, Japan, November 29, 2017―Toyota Motor Corporation (Toyota) will further contribute to accident reduction by progressively rolling out the second-generation Toyota Safety Sense―enhanced from the set of active safety packages first introduced in 2015―in its lineup from 2018. The current system is unable to detect nighttime pedestrians and cyclists. Adding these to the scope further broadens protection from causes of severe accidents. Key road signs are read by the camera and displayed in the instrument panel. 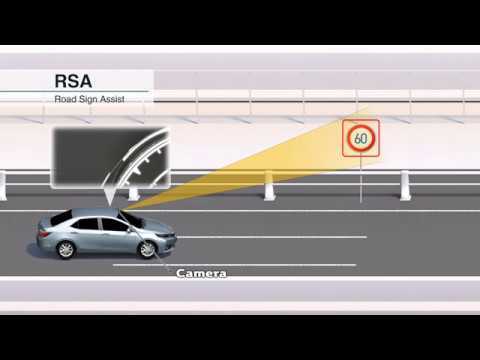 This feature supports even safer driving by helping to reduce the possibility of overlooking speed limits and traffic rules, such as stop signs, no entry signs, and no overtaking signs. Lane Tracing Assist (LTA) has been newly adopted to achieve such aims as easing driver burden and improving convenience. It keeps the vehicle in the center of a lane by assisting the driver in steering control when using Dynamic Radar Cruise Control. 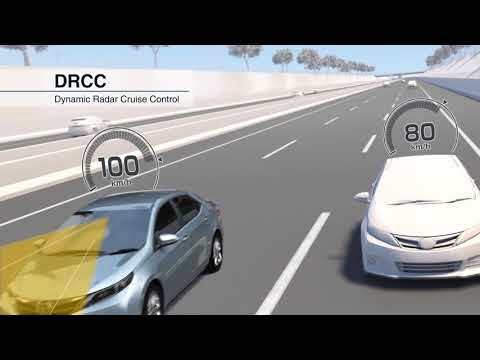 By accruing features such as Dynamic Radar Cruise Control, driver burden can be reduced in locations such as expressways, allowing drivers to drive with greater ease. LTA also comes with Lane Departure Alert (LDA). 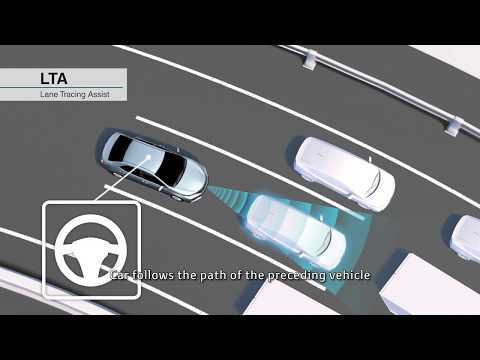 With the ability to recognize shoulders on straight roads without white lane markings, it gives alerts when deviating off roads, and assists in regaining track. The second-generation Toyota Safety Sense will be progressively rolled out mainly in Japan, North America, and Europe, commencing with new models being launched at the start of 2018. Toyota is looking into rolling it out in other regions once confirming the usage environment in each region. The rollout (either as a standard or optional configuration) of the first-generation Toyota Safety Sense in almost all passenger cars in Japan, North America, and Europe has recently been completed. 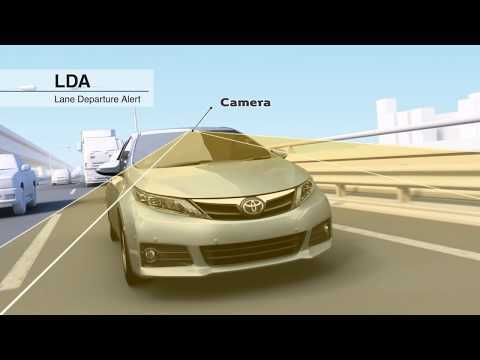 Already, a total of five million vehicles worldwide are fitted with Toyota Safety Sense. 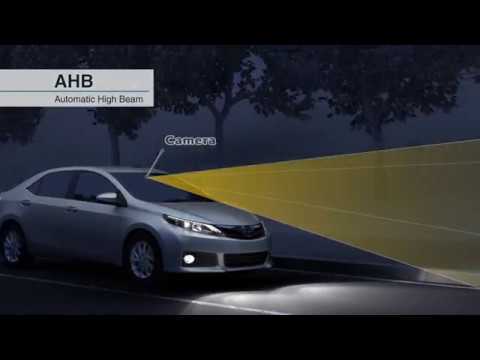 In actual traffic conditions, effects of accident reduction*2 can be seen, such as an approximately 50 percent reduction in rear-end collisions and approximately 90 percent in combination with the Intelligent Clearance Sonar (ICS). To develop a safe transportation society, it is necessary to conduct safety-related activities based on the following three pillars: 1) vehicle-based initiatives that lead to the manufacture of truly safe vehicles by incorporating a cycle of activities including accident surveys, analysis of accident causes, and development and commercialization of countermeasure technologies; 2) human-based initiatives such as educational programs for drivers and children; and 3) traffic environment-based initiatives including Intelligent Transport Systems (ITS) measures. Besides expanding the adoption of active safety technologies, such as introducing the second-generation Toyota Safety Sense, Toyota is increasing opportunities for understanding Toyota Safety Sense and ICS to promote Support Toyota programs with the aim of enhancing customer safety and assurance. 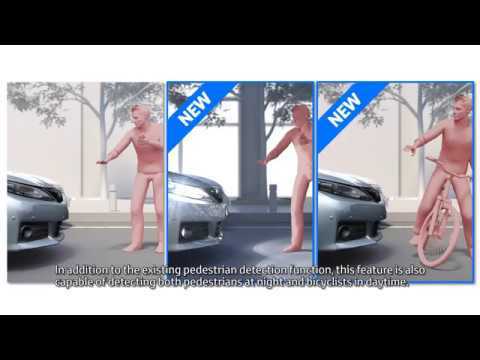 To contribute to its ultimate goal of the elimination of traffic fatalities and injuries, Toyota will continue its three-pillar approach in efforts to address people, cars, and the traffic environment. Features and performance may differ depending on the model. *2 The accident incidence rate is calculated by dividing the number of accidents by the number of vehicles in operation (converted from the number of vehicles sold based on the timing of sale).